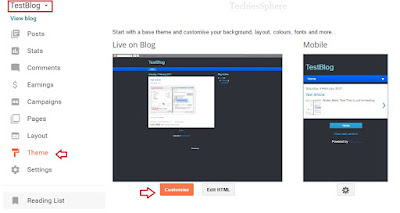 Or, How to change fonts or colour of tab and menu bar in blogger? Therefore, I thought to share this with you guys. May be it will save your time as well. Now to change the Tab Text Colour, select Tab Text option and adjust the colour as per your requirements. After making the changes, click on Apply to Blog button on top right corner of the page.